Cyprus is rapidly emerging as one of Europe’s key jurisdictions for investment funds and fund managers. As such, there has been a significant increase in the volume of funds and the value of managed assets in the market, with assets under management (AUM) tripling since 2008. The Cyprus Securities and Exchange Commission (CySEC) currently has 140 approved funds registered in the country, while total assets exceed €4.5bn ($5.3bn), thus illustrating that asset managers and international investors are especially keen to take advantage of the key competitive characteristics of the funds industry in Cyprus. The country is also seeing a growing interest from those seeking new EU-regulated jurisdictions. Accordingly, Cyprus offers regimes for both EU-regulated undertakings of collective investment in transferable securities (UCITS) and alternative investment funds (AIFs). Market players are confident that Cyprus’ funds industry will continue to expand and develop further, due to the country’s stable legal environment and strong network of financial and professional service providers. With a competitive legislative and regulatory regime – the most recent development being the new AIF bill, which introduces a flexible framework for funds – Cyprus is set to take the fund industry by storm. World Finance spoke with Konstantinos Xanthis, Head of Wealth Management Operations at Eurobank Cyprus, to find out more about the market’s growing prominence. Why is Cyprus so popular among international investors? Cyprus is a member of both the European Union and the eurozone. It has a small, open, service-based economy, which over the years has been characterised by remarkable resilience. Further, the strategic location of the island has played an important role in establishing Cyprus as a business hub. The combination of talented individuals, robust business infrastructure and a competitive regulatory and legal framework has long made the island an ideal environment for doing business. In addition, the market boasts a solid banking sector, which is regulated by the Central Bank of Cyprus and the EU’s Single Supervisory Mechanism. It also offers an investor-friendly and exceptionally advantageous tax regime, with a large number of double tax treaties and a pool of world-class and highly skilled service providers. At the same time, Cyprus offers a great climate and a very pleasant and safe environment for professionals wishing to relocate, thereby providing a brilliant balance of work and leisure. Why are AIFs in particular on the rise? Ever since Cyprus transposed the Alternative Investment Fund Managers Directive into national law in 2013 and passed the AIF law in 2014, the number of AIFs operating in the market has shown consistent growth in both AUM and the number of funds receiving considerable interest from all over the world, especially from Asia, the Middle East and Europe. Currently, there are a number of applications for AIFs with a sizeable value of target assets, some of which are still pending authorisation from CySEC. The latest achievement of this successful effort is the newly introduced bill for AIFs, which was passed into law in July 2018 and puts the industry’s regulatory and legal framework on a par with other renowned jurisdictions, such as Luxembourg and Ireland. The new law introduces the Registered Alternative Investment Fund (RAIF) – a flexible regulatory framework for establishing a regulated fund. RAIFs do not require a licence from the regulator since their supervision is done through an asset manager, which has to be a regulated entity, such as an AIF manager, UCITS or a Cypriot investment firm. Additionally, the establishment of the limited partnership form of a fund offers greater flexibility and effectiveness in the hands of asset managers and international investors. With the introduction of some key additional features, including the mini manager concept that is due in the near future, the Cyprus funds industry will offer all the necessary tools that asset managers and international investors require to set up and operate their collective investment schemes – all in accordance with the world’s best practices. What about UCITS – how are they performing at the moment? Cyprus transferred the UCITS V Directive into national law in 2016, thereby offering EU-standard trustworthiness, flexibility and reliability, in what appears to still be a niche market in Cyprus for the distribution, establishment and operation of such funds. 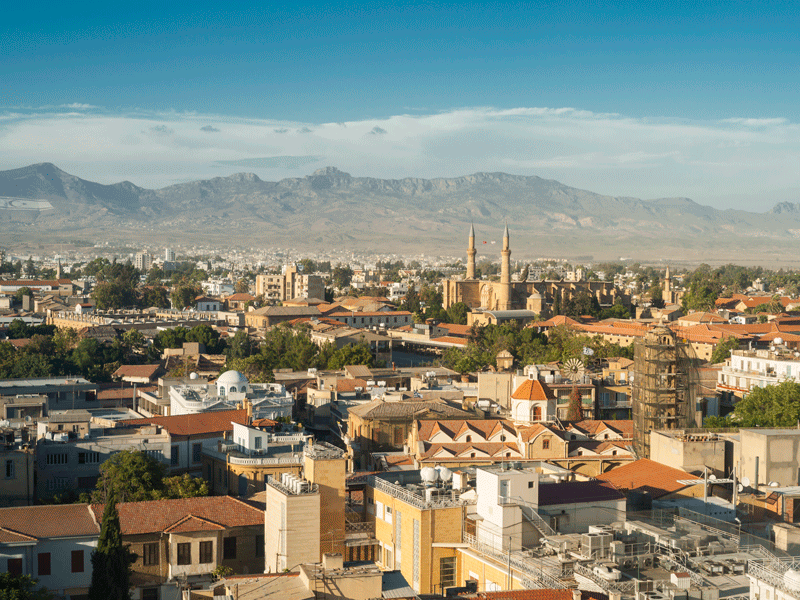 There are currently nine local UCITS entities operating in Cyprus alongside a good number of international asset managers, which have registered their funds with CySEC for distribution in the local market. Why are custody and depositary services beneficial for the Cyprus market? Over the past few years, local banks have developed their custody and depositary services to accommodate the demands of the growing funds industry, as well as the demands of increasing regulation. Significant investments have been made into vital resources, including people, technology and processes. The main custody providers are local banks that fulfil their custody and depositary obligations according to best market practices and know-how. Banks are therefore called upon to facilitate the needs and services required by asset managers and funds, while accommodating the settlements of transactions and portfolio maintenance over a range of more than 50 international markets and active investments in a wide range of financial products. Strategic relationships with a selective range of top-rated global custodians and international prime brokers have been set up by the main providers in order to best facilitate their service offering with reliability and prudence. Furthermore, local banks have developed processes and best practices to independently and effectively perform their oversight depositary obligations on alternative assets (assets other than bonds, equities and mutual funds) that are held by the funds, including real estate, vessels and private equity. Funds operating in Cyprus will continue to require comprehensive banking, custody and depositary services, while the main local providers will continue to invest and further improve their global custody and depositary business offering, as this is a profitable business for them. What sets Eurobank Cyprus apart from other players in the space? Eurobank Cyprus has been operating in the market since 2007. Focusing on the wholesale side of the business, the company’s operating model is distinct from the rest of the banking industry in Cyprus, specifically in the areas of: corporate and investment banking; wealth management; fund depositary and global custody services for institutional investors; international business banking; global capital markets; shipping; and banking for high-net-worth individuals. Its strong capital base, substantial liquidity and solid financial results allow Eurobank Cyprus to continue its dynamic growth and its ongoing support of the Cypriot economy. What does Eurobank Cyprus offer in terms of global custody and fund depository services? We have extensive expertise in global custody services, which is delivered by a highly dedicated team of experts and the continuous improvement of the systems and processes we employ. We service the needs and investments of both local and international clients. Our clientele includes a growing number of prominent local institutional investors, such as pension fund managers, large corporations, brokerage firms, asset management companies, insurance companies and investment funds, as well as high-net-worth individuals. Our total assets under custody and depository for year-end 2017 were in excess of €3bn ($3.5bn), including alternative assets. This value has been continuously growing in 2018, and is expected to increase significantly further as a result of commitments to UCITS and AIFs, which are scheduled to be launched in the Cyprus market within the year. We work directly with a selective network of counterparties via well-established relationships with leading industry players to serve and protect the interests of our clients’ investments in the best way possible. We cover a wide range of financial products, supporting clients’ portfolio investments in more than 50 international markets – such as equities, ETFs, sovereign and corporate bonds, mutual funds, hedge funds, precious metals and derivative instruments. Eurobank Cyprus is distinguished for its leading position in the local fund industry. It offers depositary services with the required regulatory diligence, as well as the world’s best practices, to a growing number of fund clients, including UCITS, investment funds and AIFs with complex fund structures. Our depositary services cover the oversight and control of investment funds in terms of their set up, transaction activity, financial and non-financial assets, and net asset value.